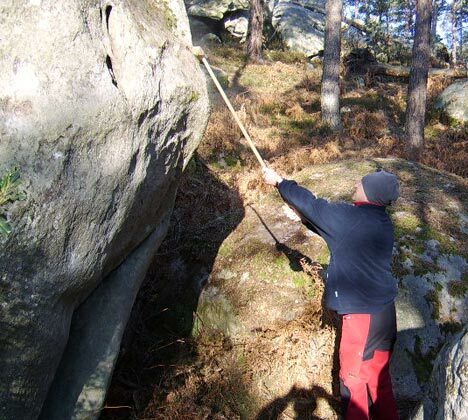 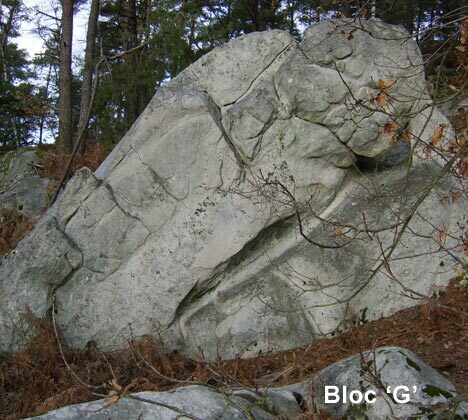 From the boulder 'aux mille visages' (thousand faces) of La Merveille, follow the sentier bleu n°5 towards the east for 200m, up to the boulder with the letter G of the sentier bleu. 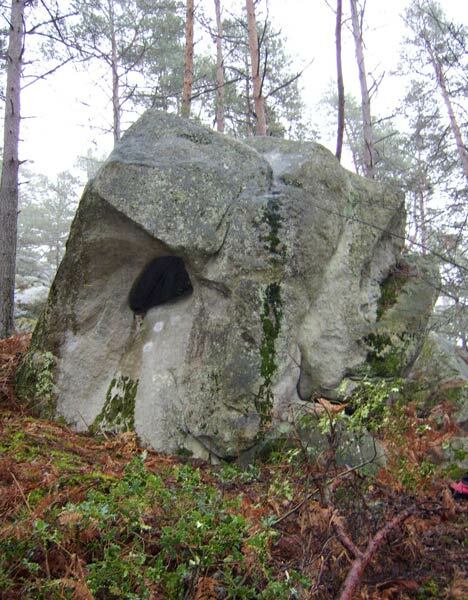 The first boulder is located 20m lower to the right. 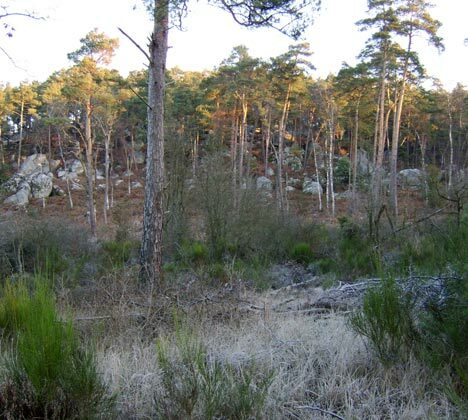 New problems, opened by Manuel Marquès in 2014, are located to the right and underneath the blue path towards La Mare à Piat.